Brides are being urged to contact Brunel’s ss Great Britain if they want to help create a giant heart shape on board ship on April 23rd, to celebrate the royal wedding. A photographer will capture the event, with the best image used to make a unique ‘ship-made’ wedding card for Prince William and Kate Middleton, who marry on April 29th. Brunel’s ss Great Britain will welcome brides from Bristol and beyond for this once-in-a-lifetime photo shoot – including those who were married or held their reception on board the historic ship at the heart of Bristol’s stunning harbour. It doesn’t matter when and where you were married, as long as you’re in your wedding dress! Event organisers will guide everyone into a romantic heart on the ship’s wooden Weather Deck (Top Deck) from 9.15am on April 23rd before the attraction opens to the public. The shot, taken from a distance, should be reminiscent of a timeless and romantic love heart carved into a tree. Photographer Paul Blakemore has been given special permission by Linden Homes to use one of the apartments overlooking the ss Great Britain to capture the shot. Each bride will be given a copy of the photograph as a memento or to use on Facebook. The ss Great Britain has long-standing links to royalty. Prince Albert launched the ship in 1843; Queen Victoria visited the ss Great Britain in 1845; Prince Philip was on board ship when she returned to her Dry Dock in 1970 and was the ss Great Britain Project’s Patron; Prince William and Harry both visited as children; Prince William’s uncle Prince Andrew, the Duke of York, is the ss Great Britain Trust’s current Patron. 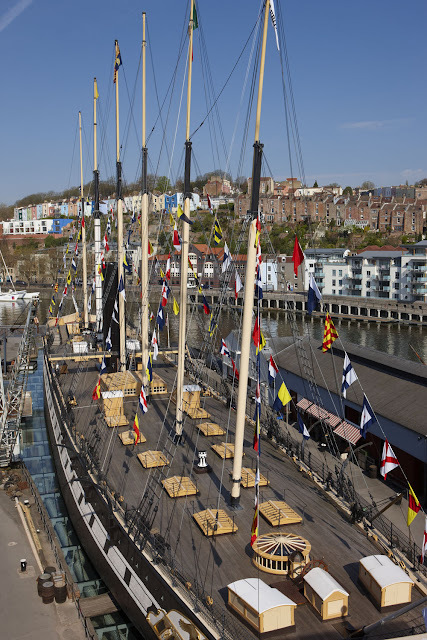 Events Manager for Brunel’s ss Great Britain, Bronwen Rolls, commented: “We are asking brides from Bristol and beyond to contact us if they want to help the ss Great Britain Trust create a stunning image. This will be used to make a wedding card for the royal couple, wishing them all the very best for their future lives together. A second card will also be made, using the image, for the next royal couple to marry this year, Zara Phillips and Mike Tindall. Organisers need at least 40 brides to promise their support by emailing marketing@ssgreatbritain.org by 12 noon on April 21st, for the event to go ahead. 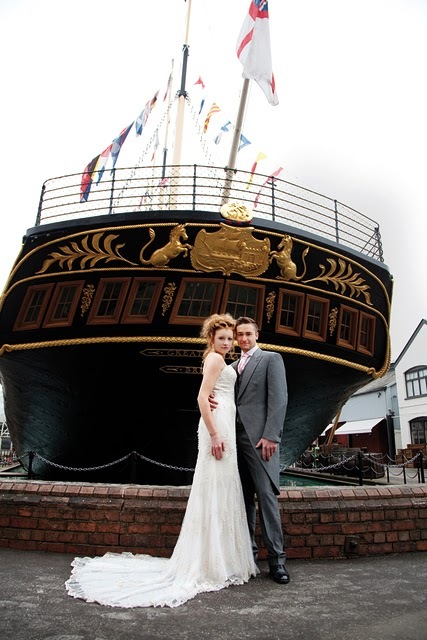 I think this sounds like a fab idea – the ss Great Britain is a beautiful venue (we had a great time there doing the photoshoot for the spring edition of West Weddings). It’s also a chance to get your wedding dress out of the cupboard and on again for some more photographs!